A seasoned vet on sax as well as an accomplished vocalist, Rolling Stones and Lenny Kravitz cohort Karl Denson is back with his big, funktastic, jam friendly backing band, Karl Denson’s Tiny Universe, to get Music City grooving. Tickets to their upcoming Nashville outing, Aug. 16 at Exit/In with locals Captain Midnight Band, are currently available for purchase here, but we have some even better news: we’re giving away a pair of tickets to one lucky fan! Click on after the jump for more on the band, and keep on scrolling for your chance to win. For three decades now, Karl Denson has been putting his blood, sweat, and tears into his music, and with the help of his backing band, Tiny Universe, it’s safe to say he won’t be slowing down anytime soon. His resume is also about as badass as they come; getting his start in Lenny Kravitz’s band, before moving on to his critically acclaimed work as a founder of boogaloo revivalists The Greyboy Allstars, then working with reggae jam band Slightly Stoopid, and managing to sneak in a run with The Stones that included the legendary Desert Trip shows in Indio, CA. Peppered in through out all of this was his work with Tiny Universe, which has cultivated an amazing hodgepodge of sound, encompassing brass friendly funk, soul, rock, and blues music that is often belted out for extended improvs that have made them a jam scene staple. Anytime you see the collective live you can expect to hear original songs from their various records (most recently 2014’s New Ammo), plus inspired/unique covers of artists as diverse as Prince, Beastie Boys, Cold War Kids, and The White Stripes. See for yourself why this man is already a living legend, based on his collaborations alone, and develop a taste for his original flavor of jam band sounds as well. Self describing their sound as “waterbed rock and roll,” Captain Midnight Band are some Music City residents fans of all things jam should become immediately acquainted with. What is waterbed rock, you may wonder? The five person collective say it is a “unique hybrid of classic rock, jam, r&b, plus blue poetry.” Originally formed in New Orleans back in 2002, these seasoned pros have been at it for a while, and should be well worth arriving on time for. Get the most bang for your buck by catching both sets of it sure to be a stellar night of dance friendly tunes. Winner will be announced Tuesday, Aug. 15 at 5 p.m. CDT, and will receive one pair of tickets. Good luck! 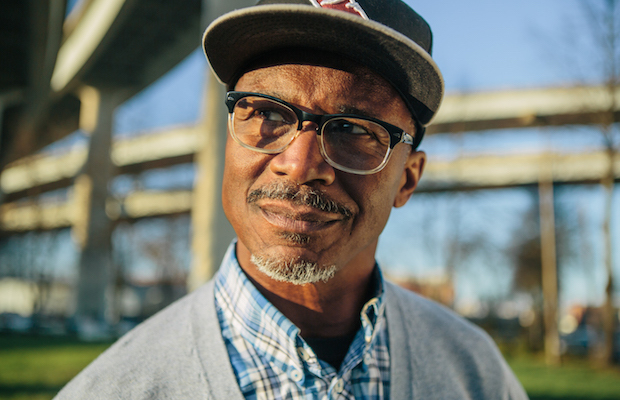 Win Tix to Karl Denson at Exit/In! Karl Denson’s Tiny Universe and Captain Midnight Band will perform Thursday, Aug. 16 at Exit/In. The show is 18+, begins at 9 p.m. (doors at 8 p.m.), and tickets are available to purchase for $25-28.